Connection: It’s something that we as human beings have sought out since the invention of fire. To feel that warmth and bond with others, both community and that special someone. Over the years, history has shown us time and again that we’ll do anything to make that connection — and technology, it turns out, is now almost always where we look. Today, we see the Web, social media, texting, all of it is a way that makes the world a smaller place. But even in the early days of computers, technology was also used to find love. Sometimes it’s matchmaking, sometimes it’s simply putting people in touch faster and easier; through it all, dating and technology have gone hand in hand, and always with one simple truth: With each leap into technology it always evolves with an eye on human touch. Matchmaking via the computer has been around for decades, even pre-dating the modern web-based iterations. In the 1960s, the power of computing was used for just that — romance by numbers through a program made by Harvard undergrads calculating a match based on snail-mailed surveys entered in via punch card. This created one of the first instances of technology playing cupid, with a scientific method utilized for matchmaking criteria. In the 1980s, online Bulletin Board Systems (BBSs) created the first micro-form of the social internet: Forums, messaging, and profiles, all transmitted through blocky graphics and text. Locally hosted systems were accessed via dial-up modem, allowing users to make public posts, send private messages, and connect with other people. Some BBSs even offered rudimentary matchmaking programs for users. Despite the slow speeds and crude displays, the message was clear — even at slow speeds, people were willing to wait while using tech that created a digital community and brought people together. Today, we take voicemail for granted. In the late 1970s and early 1980s, it was a major technological shift. While most people used cassette tapes for their answering machines, voicemail systems allowed for a computer-controlled database. 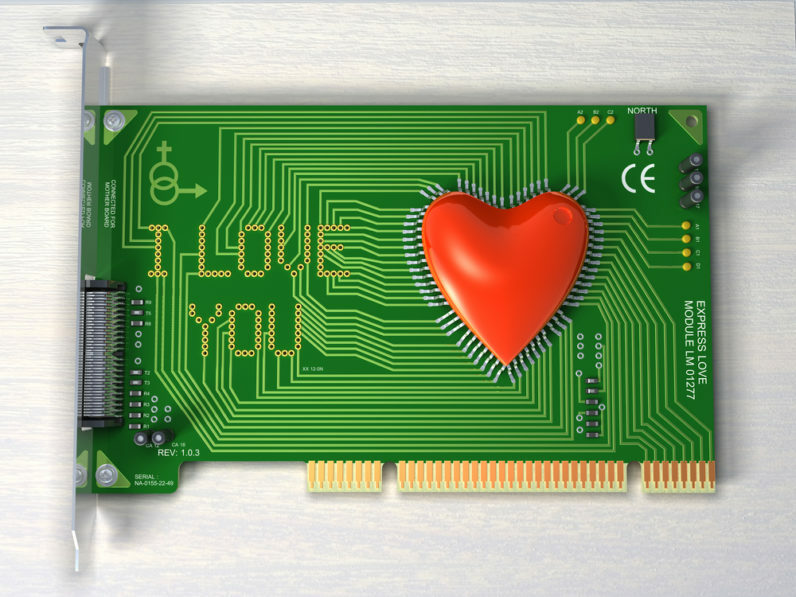 When combined with traditional personal ads and dating services, it crafted a formula for matchmaking — both creating profiles and answering them — through the use of computer-powered hardware. Instant message programs — both one-to-one and group — rose to prominence during the 1990s as a means of real-time communication with anyone around the world. ICQ, AOL Instant Messenger, and other popular programs created an online bridge to meet people worldwide, usually while discussing their favorite things (favorite bands, TV shows, etc. )… and sometimes spinning off into private conversations and possibly more. Online chat didn’t play matchmaker, but instead helped the other side of the equation: The “getting to know you” stage. First introduced in the late 1990s, dating websites went from curiosity to mainstream in the early 2000s. Web technology had already been used for shopping, news, and communication, but dating websites introduced many people to ideas that would be used by social media for years to come (profiles, in-network messages, photos). By 2005, nearly half of internet users considered online dating as an acceptable method of meeting a love interest. Chances are, you know a couple today that met online. The web became mobile thanks to smartphones and tablets, and every mobile device now comes equipped with some form of GPS. Mobile dating apps have taken advantage of this feature to take online dating into the real world. Websites play matchmaker, email/text/chat create instant connections, but apps have taken this one step further by searching locally, allowing people to connect in real time if they’re close by. History shows us that technology grows and changes in ways we can’t predict. Much of this stems from the human heart, the need to connect with others driving the way we use our technology until something brilliant and new happens. Where do we go from here? With mobile apps, matchmaking and love connections can literally take place anywhere and anytime. There is no way to make connections more immediate. The next logical step, then, is improving the context to which we connect. Perhaps it’s location or maybe culture and interests. Perhaps it’s some new way that we’ve yet to think of. Whatever it is, context is the next frontier in digital dating, a way to not just connect people, but connect people with an even better chance of hitting it off. The rest, then, is up to the one thing that computers will never be able to provide: The magic spark that happens between two people.